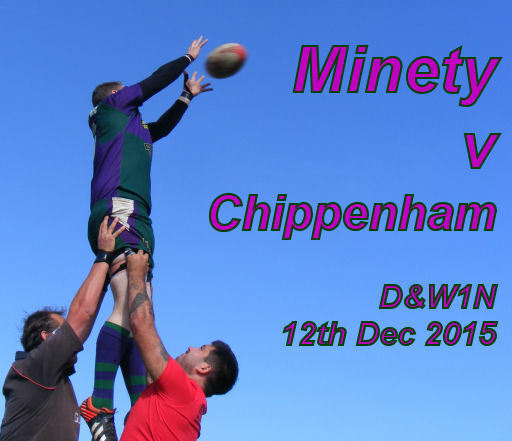 Minety extended their winning streak to five wins in a row in a tight 15-14 Dorset and Wilts Division 1 victory away at Chippenham. Playing into a strong wind, Minety dug deep to repel early Chippenham pressure but fell behind to a penalty after 15 minutes. 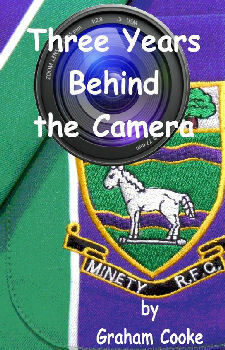 Second in the table Minety, forced the home sided back to their 22m line from where scrum half Garin Garland was able to tie the scores with a penalty in the 23rd minute. With the wind making fluent rugby very difficult, Chippenham pushed Minety back and regained the lead in the 32nd minute with yet another penalty. Centre Jack Ward orchestrated several fluid attacks from Minety’s half before powerful running from Max Sparrow and Matt Cross led to a difficult chance for flanker Stephen Brown, but the ball was lost. As the half progressed Minety began to exert more pressure, keeping passes short and using rolling mauls to move towards the Chippenham line. Their efforts were rewarded in the 35th minute with a try in the corner from young fly half Tom McAllister. After the interval Minety failed to capitalise on their slight 8-6 lead. Even with the dubious advantage of a swirling wind at their backs, they were unable to exert any territorial pressure and Chippenham broke through to score a try of their own in the 50th minute. Ill-discipline, brought about by frustration at not being able to manage conditions, led to Minety conceding a penalty in front of their posts, which Chippenham converted in the 55th minute. With time running out and now down by 14-8, Minety gained dominance from the scrum, playing the sort of rugby that had won them the Dorset and Wilts Vase Trophy two weeks before. This turn around in form paid off in the 75th minute when a quick tap and go from Garland put Max Sparrow clear to score under the posts with the Chippenham defence in confusion. The conversion was added by Garland, putting the visitors 15-14 up. The one point lead set up a tense last 5 minutes but Minety held on for the crucial victory that keeps them 2nd in the league in the run up to Christmas. Club Stalwart Matt Cross was playing his last game for the club and was debagged and left on the field naked, except for socks, boots & gum shield!